How do I set the emails that I want to be notified when a form is completed? Please let us know if you need additional assistance or clarification regarding this. 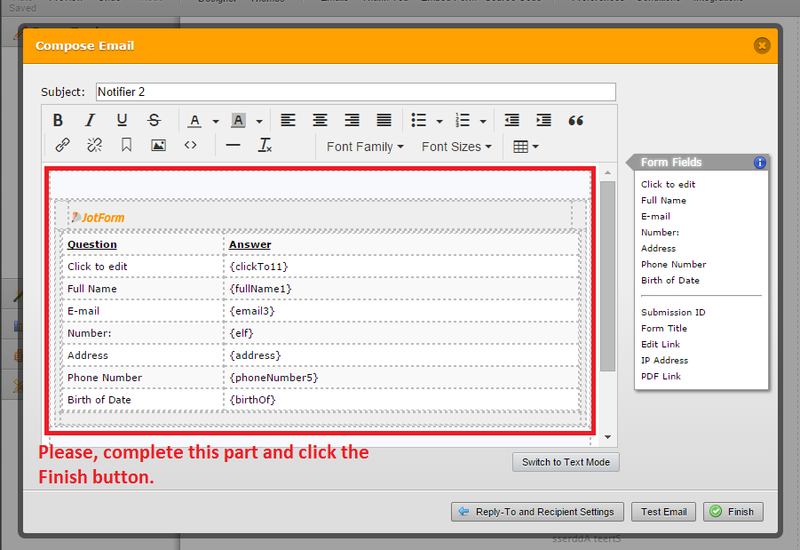 1) Click "My Forms", select your form then click the "Edit Form". 3) Click "Add New Email". 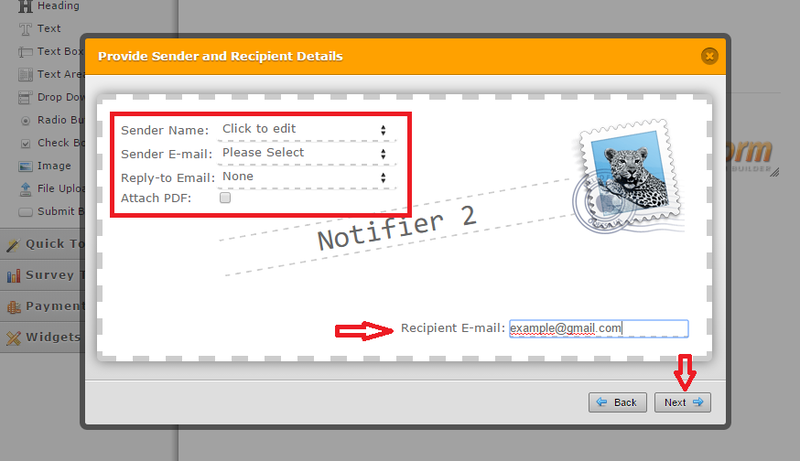 4) Select "Notifier" and click Next button. 5) Complete your information and click "Finish" button. 6) Edit the notification layout and click the "Finish" button.